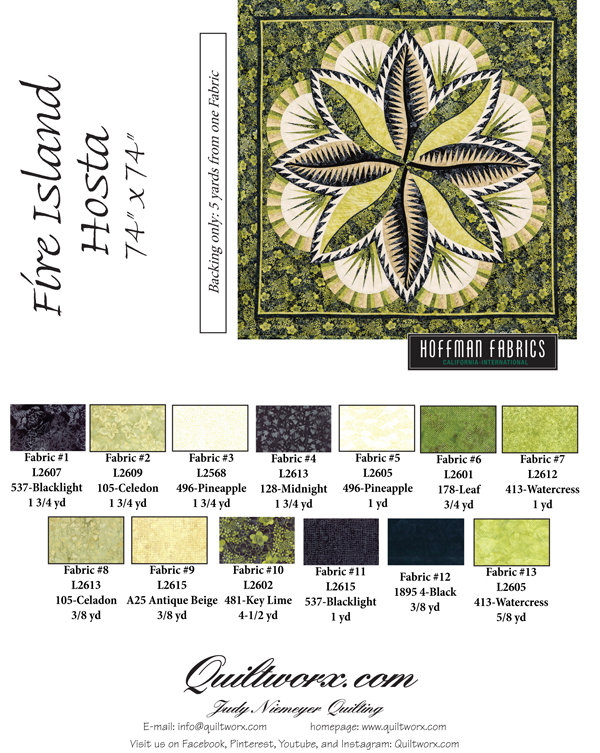 The Fire Island Hosta quilt pattern was designed by Judy and Bradley Niemeyer. 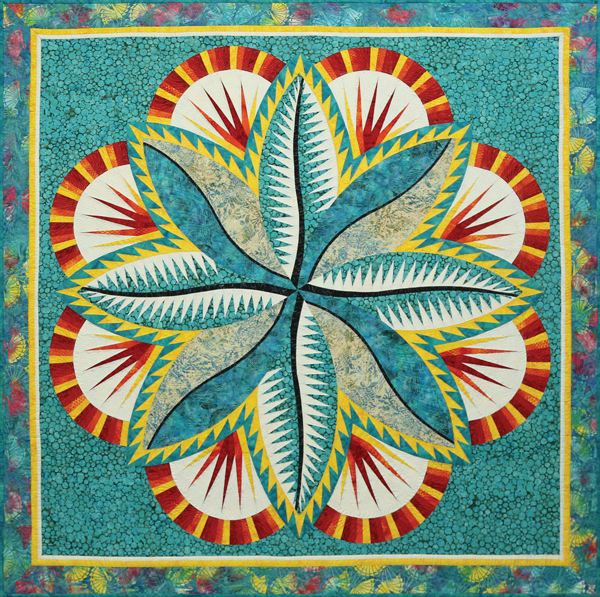 The cover quilt was made out of a collection of Hoffman Fabrics, released in the Summer of 2013. 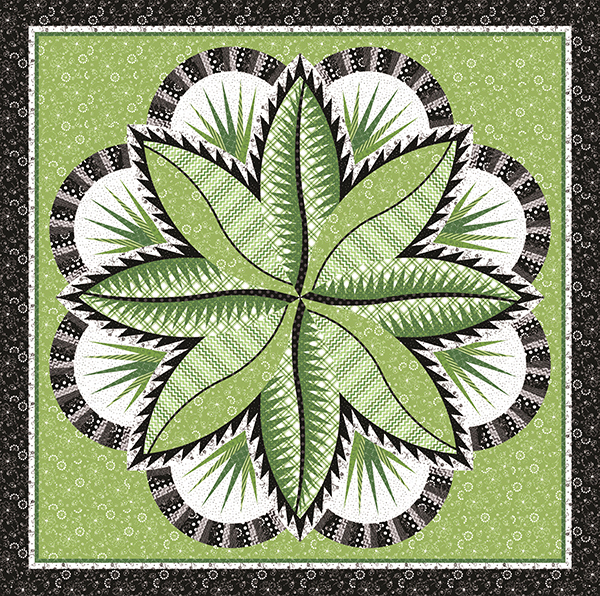 It is the first pattern in a new line of Leaf inspired designs that include Judy’s latest paper piecing technique, involving curved-line paper piecing. How do you trim a quarter-inch seam without an Add-A-Quarter Ruler, and with perfection every time? 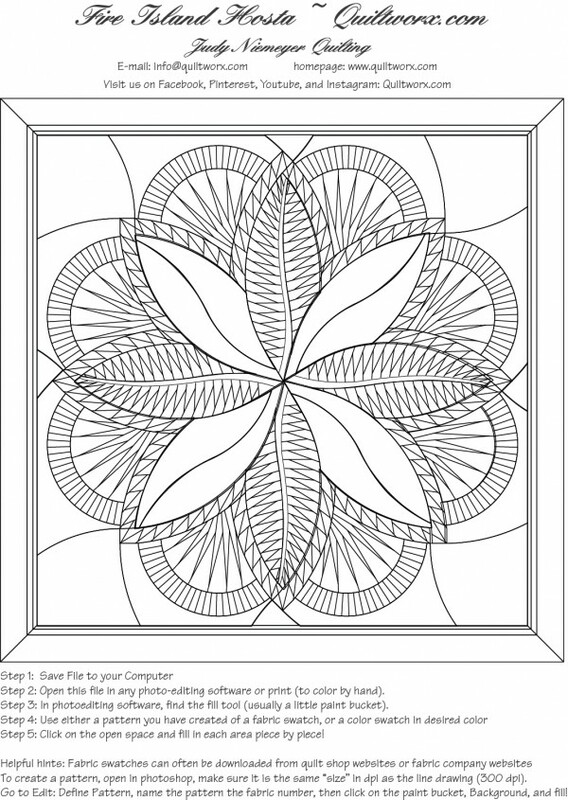 Well, this pattern teaches you how! 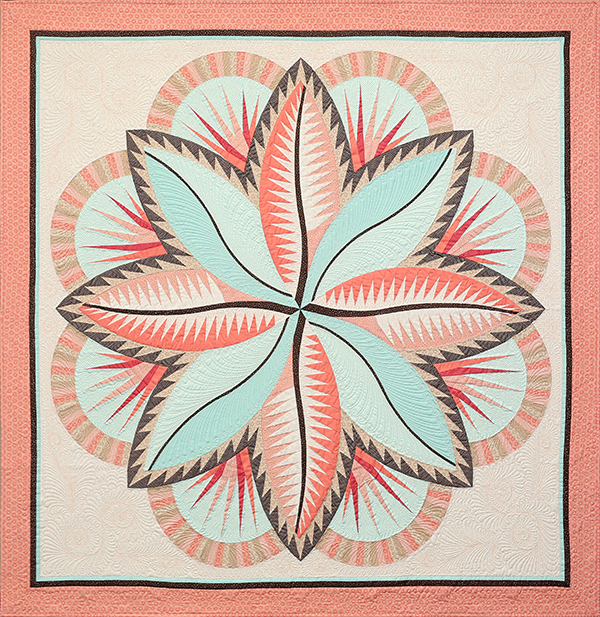 Find a workshop in your favorite Certified Shop or with your favorite Certified Instructor across the US to learn this technique, and begin curved paper-piecing from one pattern to the next! 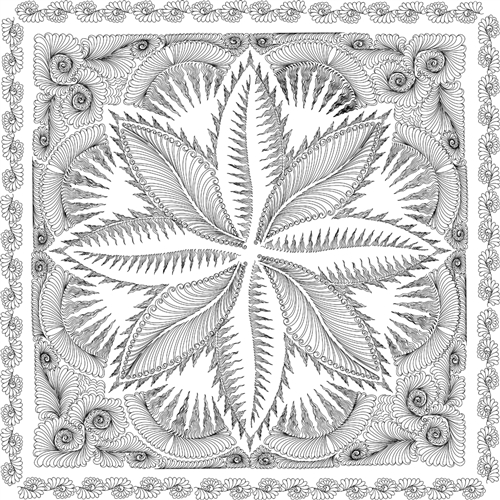 You will see much more of this technique in future Quiltworx.com designs, so it’s one you’ll want to learn! 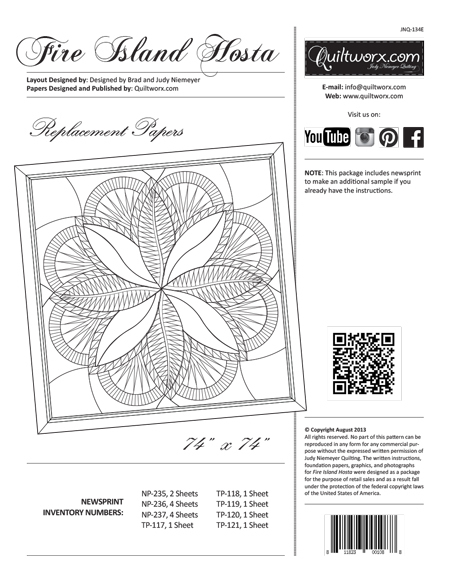 The quilt shown here includes all the foundation papers and a full set of instructions to make the quilt on the cover, which measures 74″ x 74″. 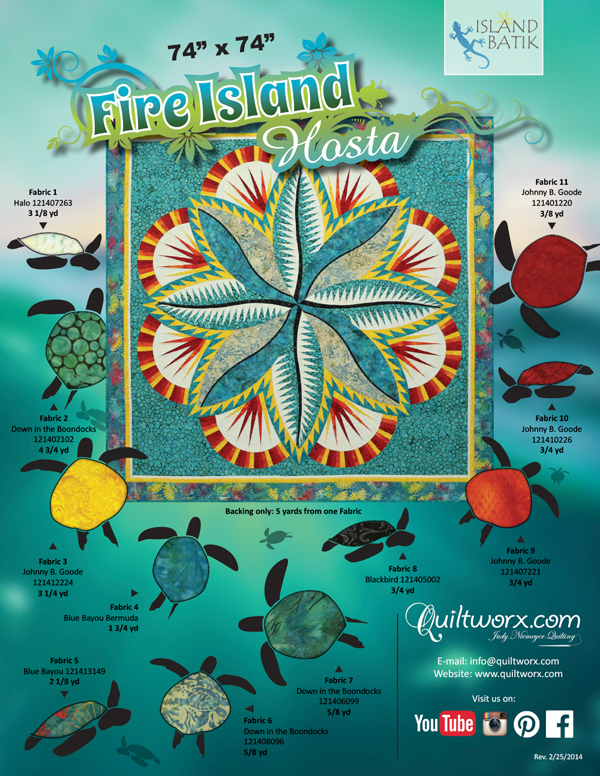 It includes yardage and exact color references to the coversheet, along with information that will allow you to pick your own colors for the different areas of the quilt. We can’t wait to see what you come up with! 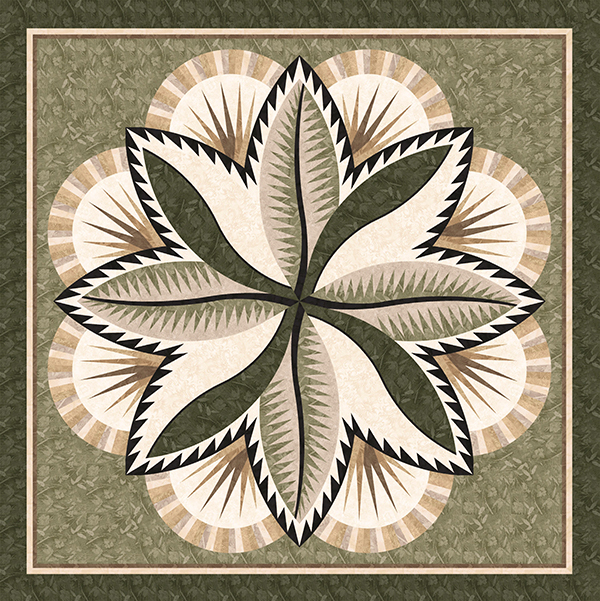 In the future (mid-Summer 2014), watch for related products, including a Digitized Quilt Design(s) by Vicki Ibison, which matches the quilt on the coversheet. 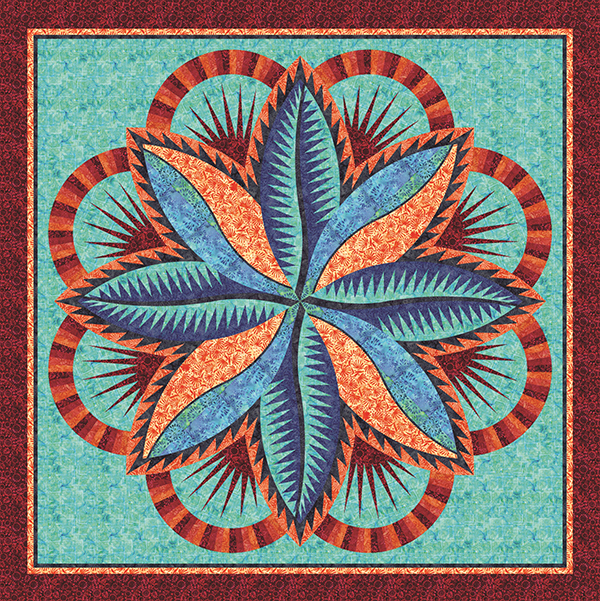 To get to a Queen Size design, watch for a new publication that will include ALL the papers to make a Queen Size pattern with a new border concept you haven’t seen before from Quiltworx.com! 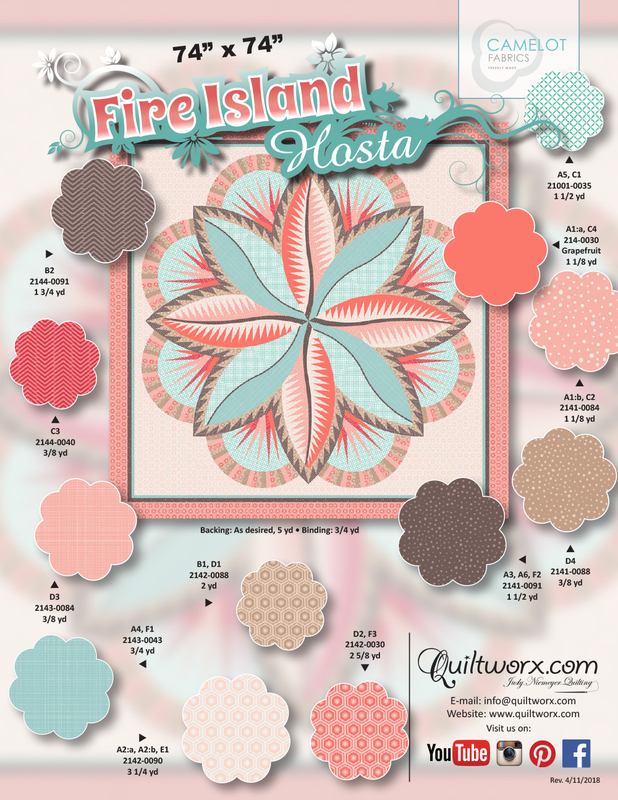 A Queen-Size Expansion set will also be released, but note: It will significantly alter both the yardage and the final cutting for your background fabric. As a result, you may want to simply wait for the Queen-Size publication (due out in early Summer 2014), or do not buy/cut the background fabric until you review the Expansion set. It will require approximately 2 additional yards of background fabric (provided you do not cut the backgrounds to fit the wall quilt size before moving to the Queen). 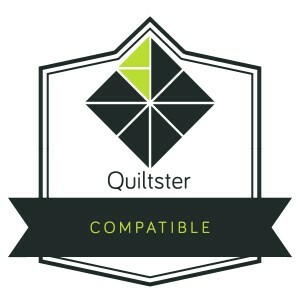 Our recommendation is to purchase the Queen Size quilt design in a couple of months, if this is the size you are hoping for. 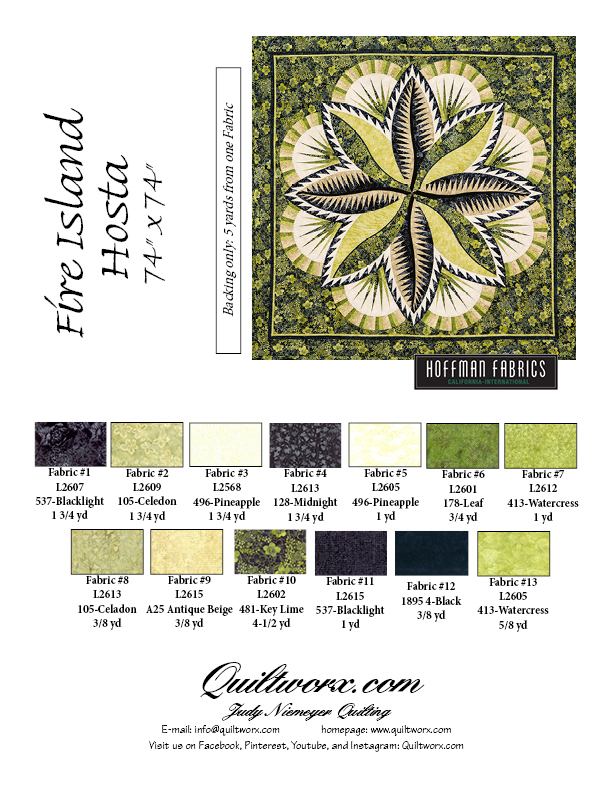 Yardage information is included in the Official Samples area below, along with a line drawing to audition colors if you like! 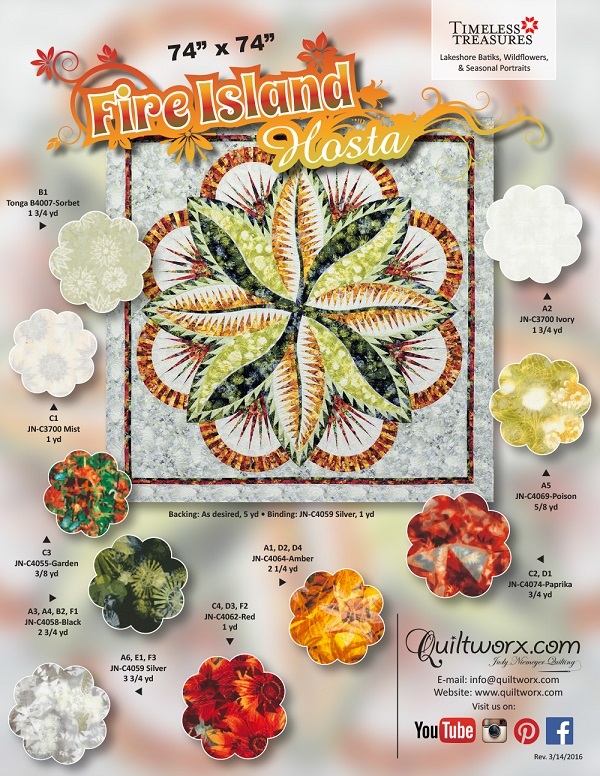 Fire Island Hosta Wall, designed by Quiltworx.com, made by Peachie Burlin. Won Grand Champion at the Burleson County Fair in Caldwell, TX. JoAnn Chappell Kemphfer Oh my heavens is that ever ever gorgeous! Judi Maxson Lovely color combination! Anna M Bowen Georgeous colorway!!! 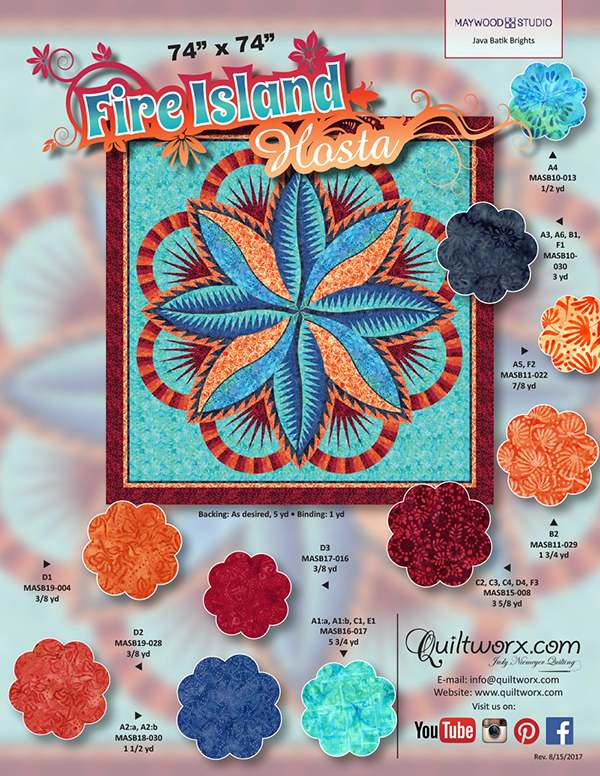 Fire Island Hosta, designed by Quiltworx.com, made by Terri Budesa. 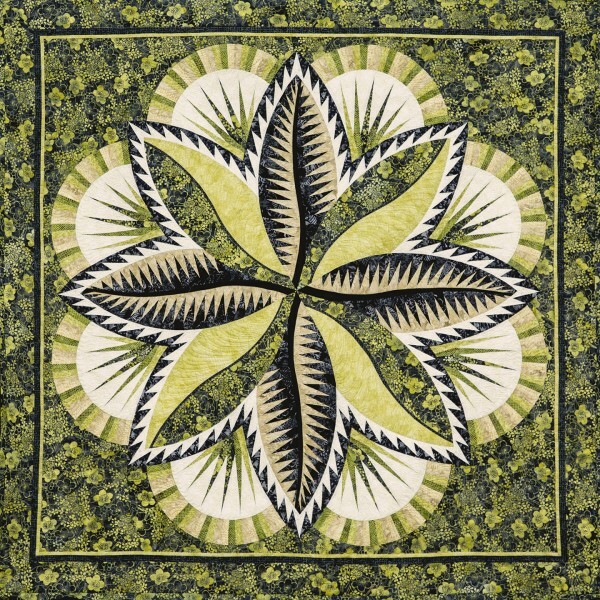 Won First Place in the Small Pieced, Longarm Quilted category at the Mountain Stars Quilter’s Guild Show. 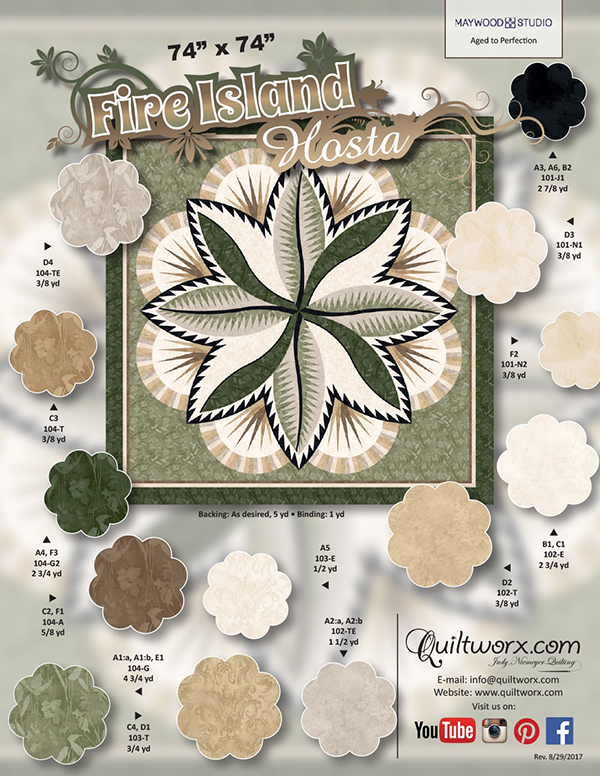 Fire Island Hosta, designed by Quiltworx.com, made by Linda Bergmann. 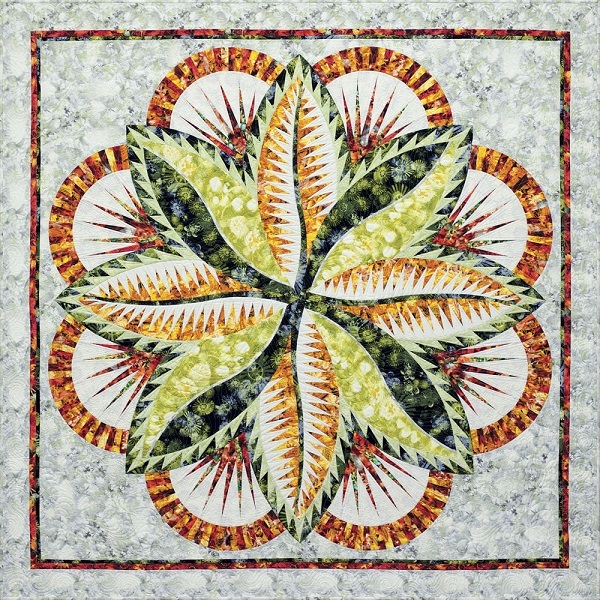 Won 1st Place at the Elk Grove, CA Quilt Show. 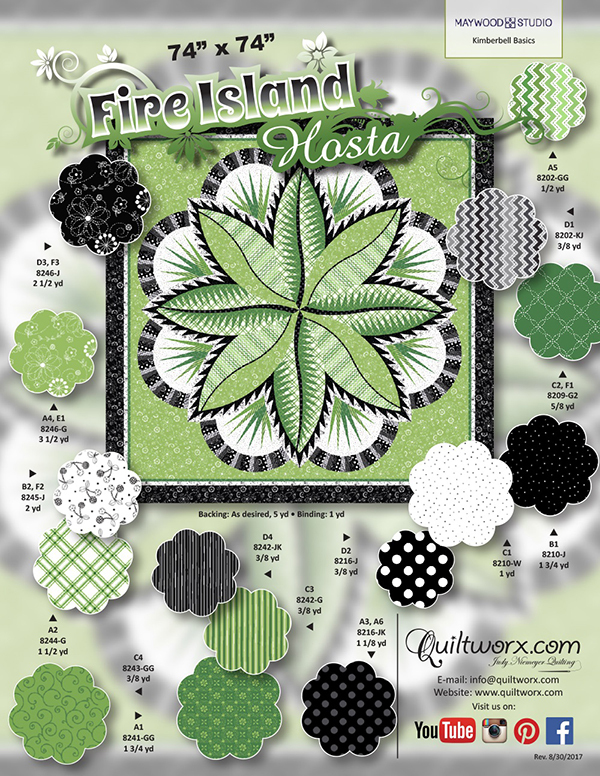 Fire Island Hosta, designed by Quiltworx.com, made by Denise Poslusny. Won 2nd Place and Mayor’s Choice at her local guild show.